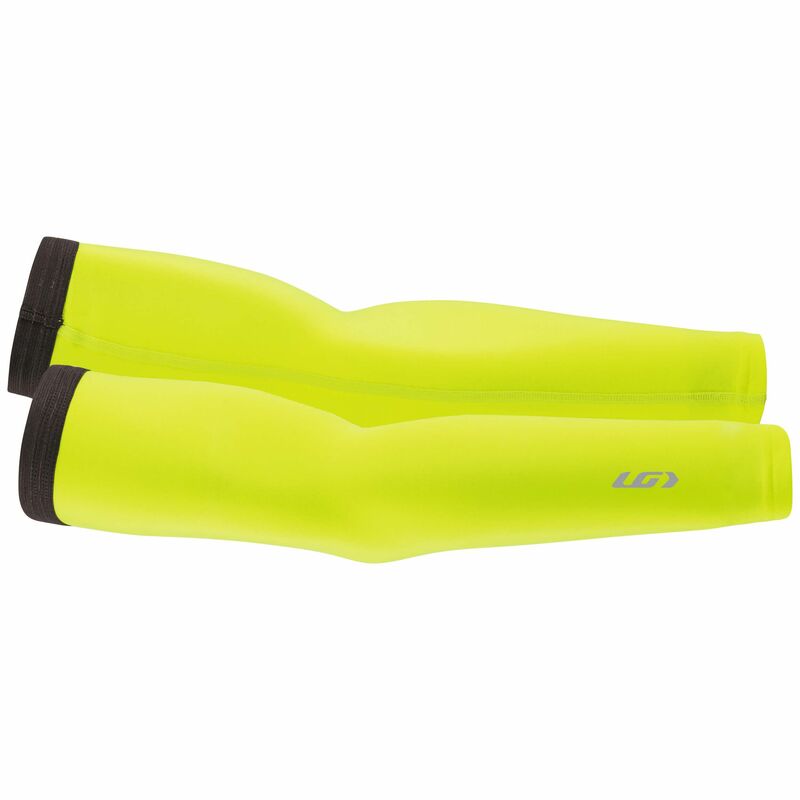 The Louis Garneau Arm Warmers feature HeatMaxx fabric that has a soft brushed inside to wick moisture while retaining heat. The biceps silicone grippers hold these warmers in place yet they're easily removed and stashed in a pocket or pack when things warm up. Reflective logos offer safety. The Louis Garneau Arm Warmers feature HeatMaxx fabric that has a soft brushed inside to wick moisture while retaining heat. The biceps silicone grippers hold these warmers in place yet they're easily removed and stashed in a pocket or pack when things warm up. Reflective logos offer safety..